When Michael Goldschlager was a child he would wait till his parents had gone out and then play Bach’s B minor Mass on his dad’s stereo as loudly as possible. The cellist will share his life-long love of Bach at the PIAF Chamber Music Weekend with a performance of Bach’s complete Suites for Solo Cello. Goldschlager is one of the world-class performers featured across the weekend festival which will be held in and around Winthrop Hall from 26-28 February. The line-up is resoundingly home-grown including local artists Sally Boud, Joseph Nolan, Sara Macliver, Ensemble Vagabond and from interstate the Tinalley String Quartet, Benaud Trio and pianist Jayson Gillham. Goldschlager will perform all six Suites on Friday night in a monumental free outdoor concert lasting six hours. 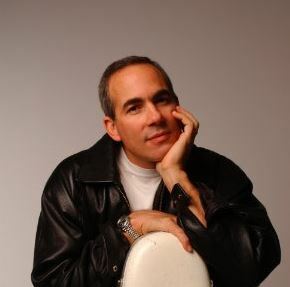 The New York-born cellist has been based in Perth for 30 years and has played principal cello with most ensembles around Australia including the Macquarie Trio, the Australian Chamber Orchestra, the WA and Sydney Symphony Orchestras and most recently the Australian World Orchestra’s 2015 tour of India with Zubin Mehta. His reputation as a Bach expert is such that ABC Classics/Universal sought him out to record the Suites. Goldschlager first played a Prelude from the Suites when he was 7 years old and as a professional performed them over 1000 times on stage in the Broadway play The Elephant Man. Despite his familiarity with the music Goldschlager dedicated a year to studying and practicing before recording them in 2011. Below is an interview Goldschlager gave with Peter Holland about the process of recording the Suites. The seminal Suites (1717-23) are six collections of Baroque dances infused with Bach’s mathematical precision and deep soulfulness. They include movements such as the joyful D major Gigue popular as a wedding recessional and the introspective C minor Sarabande famously played by Rostropovich at the fall of the Berlin Wall and Yo-Yo Ma to mark the anniversary of the Twin Towers. 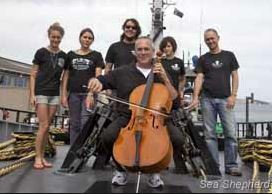 Goldschlager has performed them for audiences as diverse as crew from the Greenpeace Sea Shepherd ship and residents of a drug rehabilitation community and he believes it is music that appeals to everyone. The performance will take place between 7pm and midnight outside Winthrop Hall with the audience on couches and picnic rugs under the stars. Goldschlager will amplify his cello so it will be an immersive experience for listeners, like his first experience listening to Bach as child. The festival’s classical music program manager Chris van Tuinen anticipates the free outdoor performance will help demystify and honour the Cello Suites. Another marathon concert in a similar vein will be a performance of Satie’s Vexations in its entirety, starting 6pm Saturday night and concluding midday on Sunday. The Vexations is a short piano piece which the composer specifies should be repeated 840 times. The piece will be played by a team of keyboard students from UWA and WAAPA in a performance which is expected to take at least 14 hours. The demystification of chamber music continues with a free keyboard masterclass by Jayson Gillham on Saturday and a unique Haydn Lottery where audiences are privy to the inner workings of a string quartet in rehearsal mode. 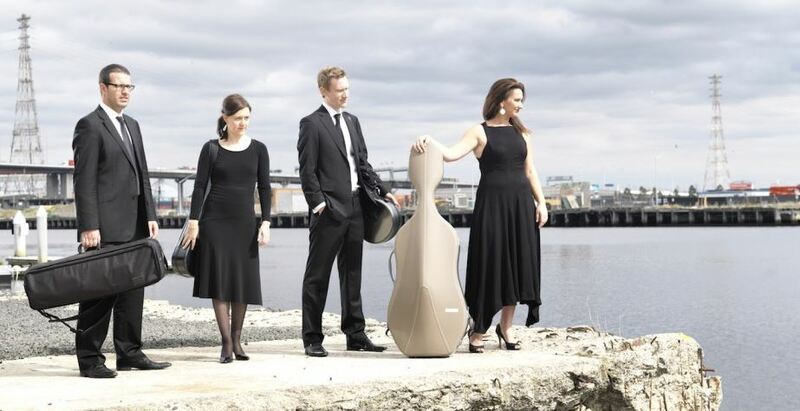 The Melbourne-based Tinalley quartet will rehearse a Haydn quartet they have previously never played and audiences will witness the construction of the work from the ground up, complete with the disputes and dynamism that are part of creating chamber music. Saturday will also include Widor’s Organ Symphony No 5 performed by Widor expert Joseph Nolan, Messiaen’s Quartet for the End of Time, string quartets by Haydn and Ravel, wind music by Ligeti and Barber performed by Ensemble Vagabond and a piano recital by Jayson Gillham with repertoire by Beethoven, Bartok and Liszt. Sunday is set aside for Schubertiade with six performances dedicated to the works of one of the great romantics. Schubert’s famous Trout Quintet will be heard alongside the Arpeggione Sonata, the Octet and the string quartet Death and the Maiden. English baritone James Newby, winner of the Schubert award at the 2015 Wigmore Song Competition, will perform Schubert’s song cycle Die Schone Mullerin. The Chamber Music Weekend runs February 26-28th. To to view the entire program and to purchase tickets to the Chamber Music Weekend go here. This article copyright The West Australian 2015.